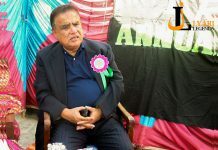 Why not we talk today about a “boy” who opened eyes in a poor neighbourhood of Lyari about a half-century ago, who underwent a hard struggle for survival. And today he is most educated, very popular and the happiest celebrity of the city? 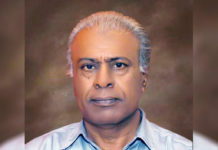 He belonged to a poor and resourceless family and in a locality where literacy rate hardly touched much less than 10%. He had to support his poverty-hit family and for it, had to seek “bread and butter” from too early age. 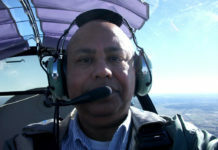 But he had a vision for reaching to the highest milestone in education and having a hidden ambition to do something big someday! And this “someday” happened on 14 May at Expo Centre Karachi. 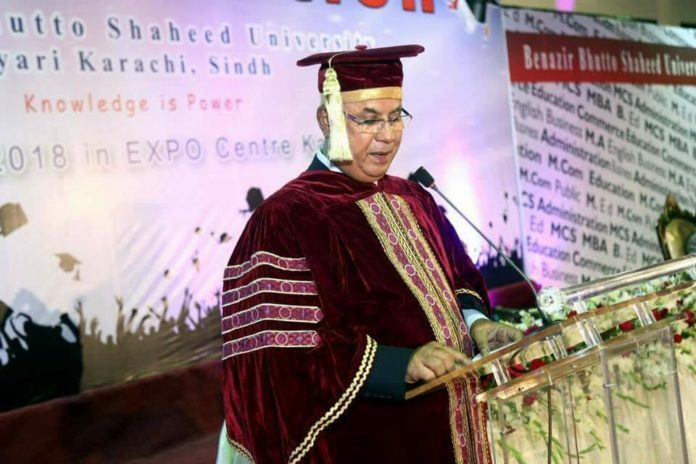 That ambitious “boy” appeared majestically as the Vice-Chancellor (VC) of Benazir Bhutto Shaheed University Lyari (BBSUL) on the happy occasion of its 1st Convocation where the high calibre “our own boy” VC Dr.Akhtar Baloch conferred degrees to the successful students. And due to some urgent engagements, the Governor Sind Mohammad Zubair couldn’t come, so Dr. Akhtar Baloch performed the duty of Chancellor as well. 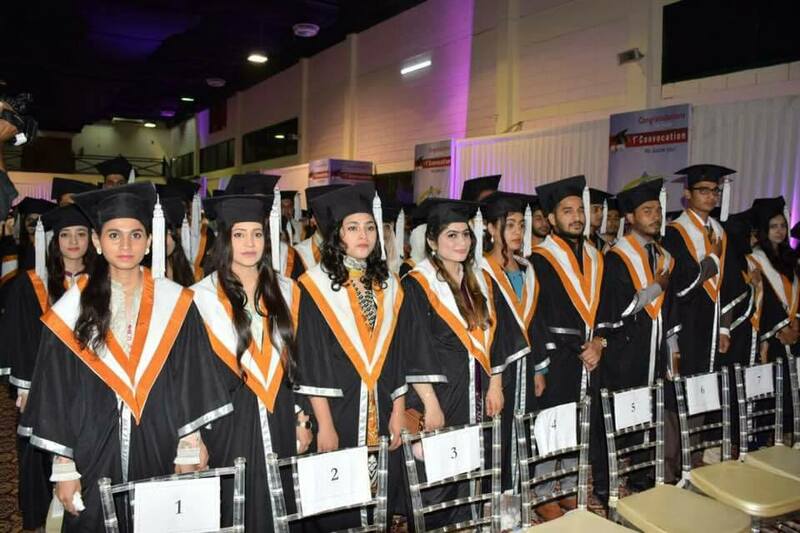 Among the recipients of M.Phil degrees, Ms Yumna Khatoon and Hassin ur Rehman were prominent. From the Department of English, 22 students got their Master & Bachelor degrees. 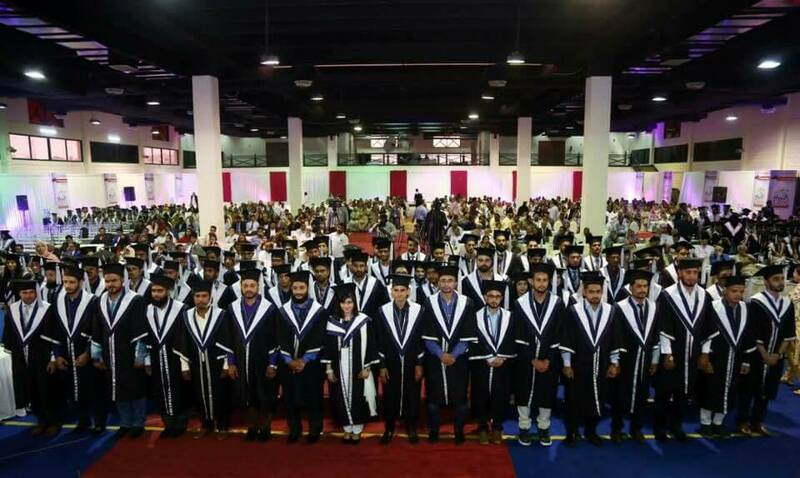 The other recipients of Master & Bachelor Degrees included 75 from Department of Computer Science, 70 from Department of Business Administration and 37 from Department of Commerce. These students belonged to Batches of 2015, 2016 and 2017. The noteworthy factor was that the female students formed more than 40%. The Convocation atmosphere was much vivid and pleasing. I have not seen so many happy faces at one place before. And they were not students only. Parents and other guests as well. This was a memorable and well-managed event. The recipients wearing gowns showed their joy by throwing their hats in the air in a traditional way. In this happy occasion, a moment came that saddened the atmosphere when on the stage, 18 girl recipients of Vice Chancellor Gold Medals were called but 17 of them responded. Because 18th was no more. The brightest student Salwa brought tears not only to his glum father but almost all present in the hall could be seen with tearful eyes. 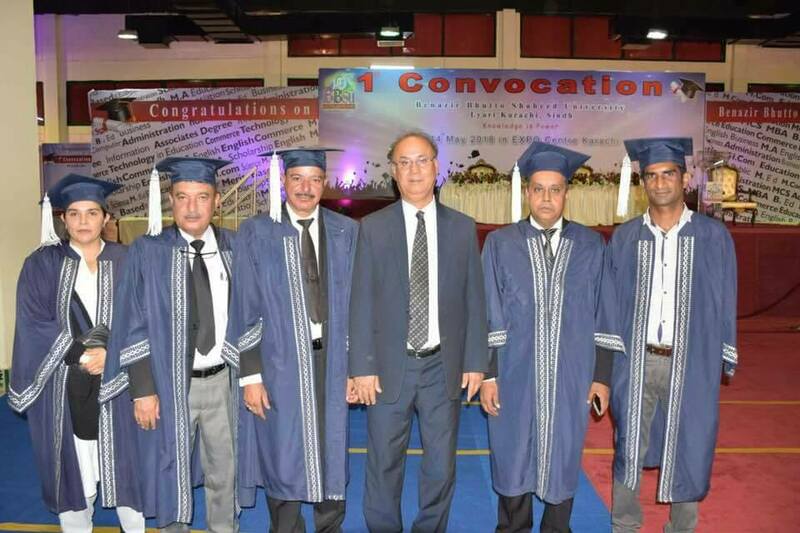 Hopefully, more Convocations would follow but this one was just remarkable and all the praise must go to the VC Akhtar Baloch, all the teaching and administrative staff and, of course, the Sindh Government. “You fought battles, overcame obstacles. Beautifully Written By Our Sir Ramzan Baloch.